They haven’t played Notre Dame. They haven’t played UConn or Baylor. And it’s two months until tournament time gets underway. Still, my money is on Mississippi State to win it all this year. 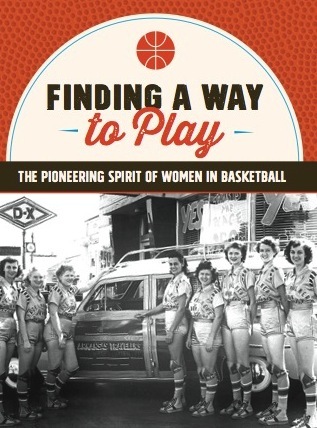 For me, they are the sentimental favorites, and if there is justice in the world of women’s basketball, Vic Shaefer’s talented team deserves to make it all the way to the top of the mountain this year. A year later, Mississippi State got its revenge, stunning the basketball world by ending UConn’s 111-game win streak with an overtime victory at the buzzer in the national semifinal at the 2017 Final Four. Morgan William (who hit the winning shot in OT) and Victoria Vivians (who hit the game tying jumper in regulation) were the heroes of that epic win. But Mississippi State went up against its biggest nemesis in the next game for the national championship. South Carolina handled the Bulldogs pretty easily, thanks to South Carolina MVP center A’ja Wilson and coach Dawn Staley’s great game plan. Last year Mississippi State made it to the final again — by knocking Louisville off in overtime in the semifinal. 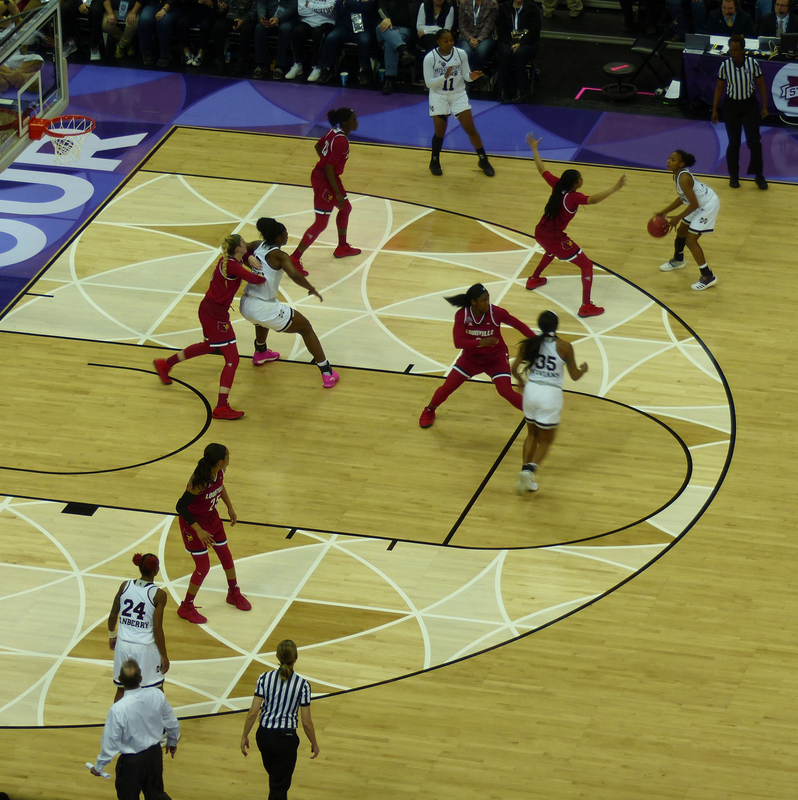 Leading by 1 and with the ball, Louisville had scored an uncontested layup with only a few seconds on the clock. But MSU’s Roshunda Johnson hit a huge 3-pointer to tie the score and send the game into overtime. There they dominated the deflated Cardinals and earned their spot in the Finals. Teaira McCowan, MSU’s 6-7 center had 21 points and an astonishing 25 rebounds. Vivians had 25 points, and William chipped in with 12. The Mississippi State fans who crowded the bar next to the arena before the final game against Notre Dame were ebullient with their chants of “Hail State!” With Vivians firing on all cylinders and McCowan finally coming into her own, victory, and the national championship, seemed assured. But Notre Dame coach Muffett McGraw had other ideas. Yes, she’d lost star center Brianna Turner (and three other players) to ACL tears. But she had Arike Ogunbowale, whose buzzer beater in the other semifinal game had sent UConn to its second Final Four defeat in as many years. The Fighting Irish were riding on as much of a high as the Bulldogs. And so it was that another Ogunbowale three-pointer (with a 10th of a second on the clock) gave Notre Dame the championship, 61-58. With that loss, it seemed that Mississippi’s window for winning it all might be closing. McCowan would be the only returning starter in 2019, as Vivians, William, Johnson, and Vic Shaefer’s feisty point guard/daughter Blair all graduated. But out of the blue, Texas A&M’s star forward, Anriel Howard decided to transfer at the end of her junior year. Eligible to graduate last August, she didn’t have to get a waiver to continue playing somewhere else. She looked around for a school with a good graduate program in media and communications, as well as a great basketball program. She made trips to UConn, South Carolina, and Mississippi State, and came away sold on the Bulldogs. Howard said MSU’s family atmosphere and the fact that her role would be well-defined were the selling points. So far, Howard has been just what the Bulldogs needed, taking the pressure off McCowan and providing a formidable tandem with McCowan in the paint (even though she’s only 5-11). Of late, she’s carried the offense, which has given MSU’s younger starters the time and the room to adjust to their roles in Vic Shaefer’s offense — and they are coming up big in the early going, as #6 Mississippi State remains undefeated in the SEC. Mississippi State lost to #5 Oregon during an early-season West Coast trip but otherwise, they’re undefeated. I’m betting that the time has come for them to reach the mountaintop.